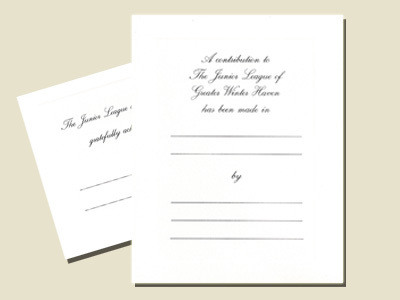 You may also honor the memory of a loved one by making a gift to the Junior League of Greater Winter Haven. a gift is made in their honor. please contact us at 863.583.7659 or email us.